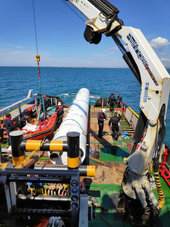 On 11 April 2019, Spain’s PLD Space, supported by ESA, demonstrated the recovery of the first stage of their orbital microlauncher, Miura 5, in a first step towards reusability. 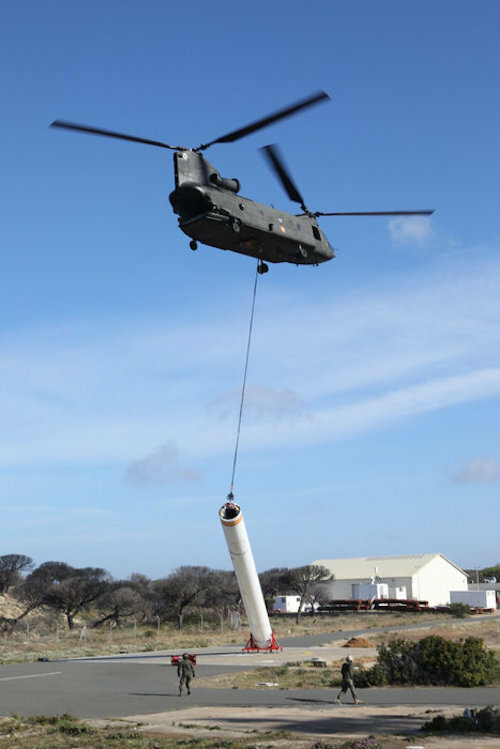 A Chinook CH-47 helicopter carried the 15 m long 1.4 m diameter Miura 5 demonstration first stage to an altitude of 5 km. It was then dropped over a controlled area of the Atlantic Ocean, 6 km off the coast of Huelva in southern Spain. The demonstrator released three parachutes to slow down its descent before splashdown. A team of divers recovered the demonstrator and hoisted it onto a tugboat, which returned to the port of Mazagón. The demonstrator looks in good shape and will now be transported to PLD Space, in Elche, for inspection and further analysis.